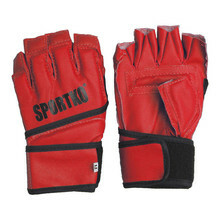 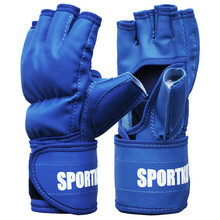 MMA gloves are a requirement for everyone, who wants to pursue mixed martial arts. 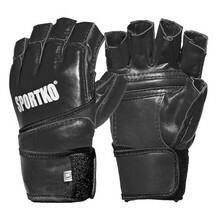 MMA gloves are fingerless with soft padding that protects your entire wrist. 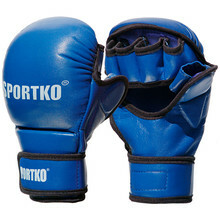 The underside is usually made of thin permeable material to allow for a firm grip on your opponent. 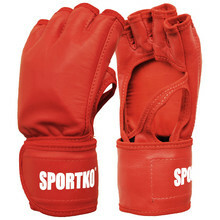 MMA gloves also have enforced stitching and wrist fastening. 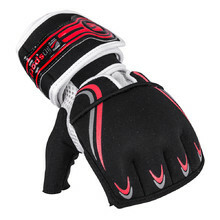 Gel-Tech padding, mesh air vents, double tightening straps on wrist.